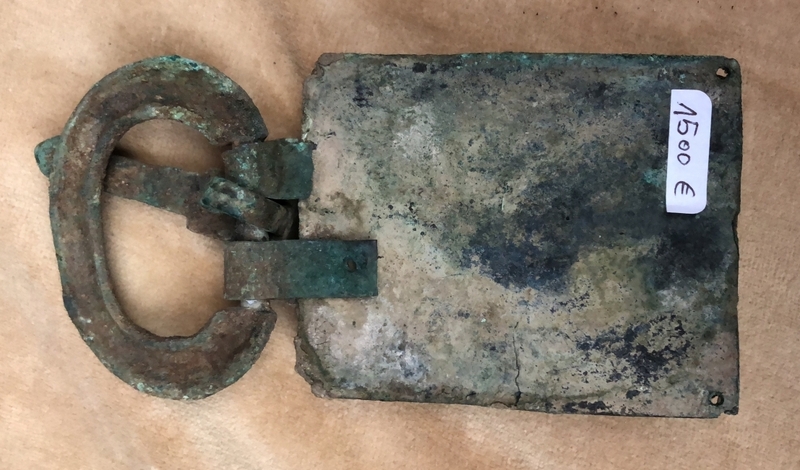 A bronze buckle with glass decoration in very good original condition . 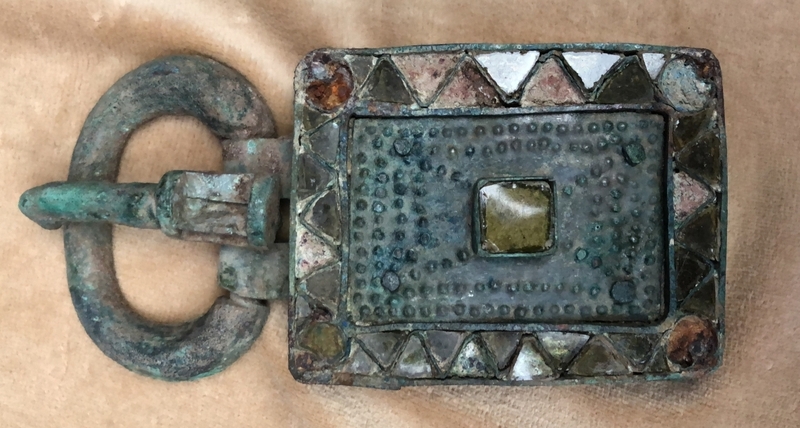 Visigothic and period 6th century CE . H. 2 W. 13 D. 6 cm. H. 1 W. 5 D. 2 in.